If you have a BSNL Broadband connection and want to know how you can check the BSNL Broadband usage online then go through this topic which help you find the solution of the BSNL Broadband Usage check online. 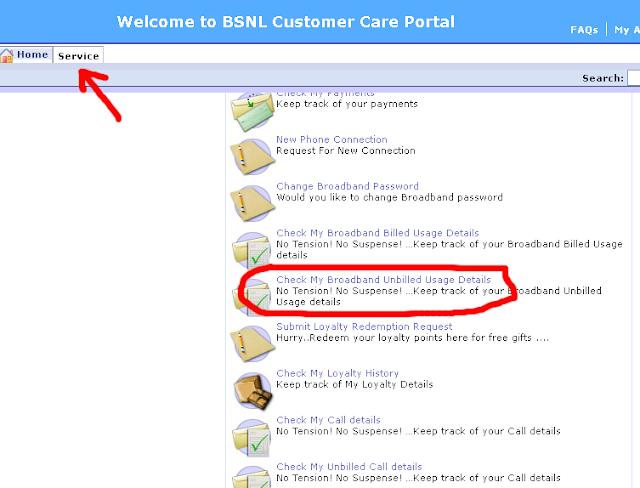 So you can check the BSNL Data usage Broadband through online customer care portal which given below. The Broadband usage check helps to know your total usage month and day wise, through which you can control your data usage if you have limited BSNL Broadband connection, as you know for limited broadband has a limit of data usage both download and upload if you crossed the limit of your total volume usage then you will be charged extra cost for this, which is normally more then your data tariff. So it's better to check your BSNL Broadband usage daily and you can do it online. 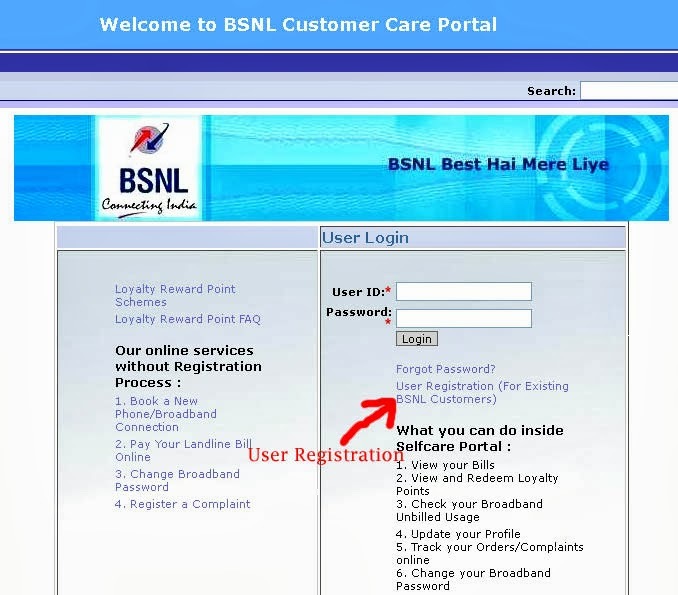 If you do not have an user-id and password or you have taken a new BSNL Broadband Connection, not to worry about that you can easily create a new id and password by visiting the respective websites which is given bellow. BSNL Customer Care Portal, which is a Selfcare portal through which you can Check your Broadband Unbilled Usage, Update your Profile, Track your Orders/Complaints online, Change your Broadband Password etc. For the customers belongs to South Zone: Karnataka, Andhra Pradesh, Chennai, Kerala and Tamilnadu. For the customers belongs to North Zone: Haryana, Punjab, Himachal Pradesh, Jammu & Kashmir UP(West) and UP(East). For the customers belongs to West Zone: Maharashtra, Madhya Pradesh, Chattisgarh, Gujarat and Rajasthan. For the customers belongs to East Zone: Orissa, Kolkata, Bihar, West Bengal, Adman Nicobar, Assam, Jharkhand and North East. 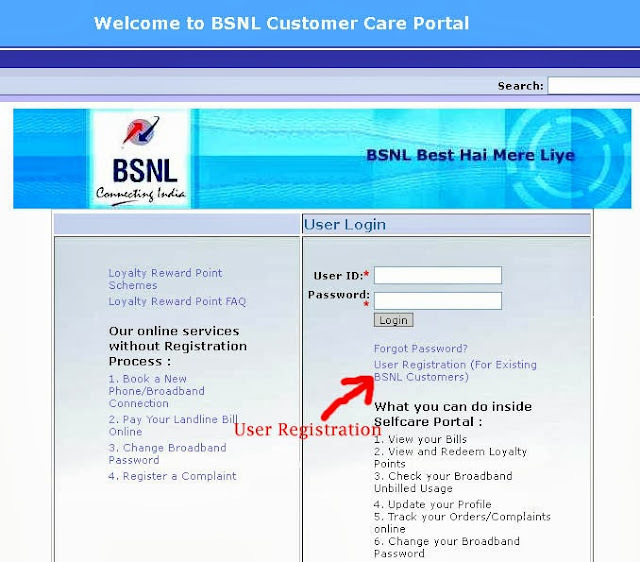 How to register on BSNL Customer Care Protal to Check your Broadband Usage ? Fill the details of your BSNL Connection i.e. Customer Id ( Can be found on your BSNL Bill ), Choose your portal user name and password, BB User Id ( it's the broadband user name/user id which use to configure your modem), Do you have Broadband Select Y for Yes. 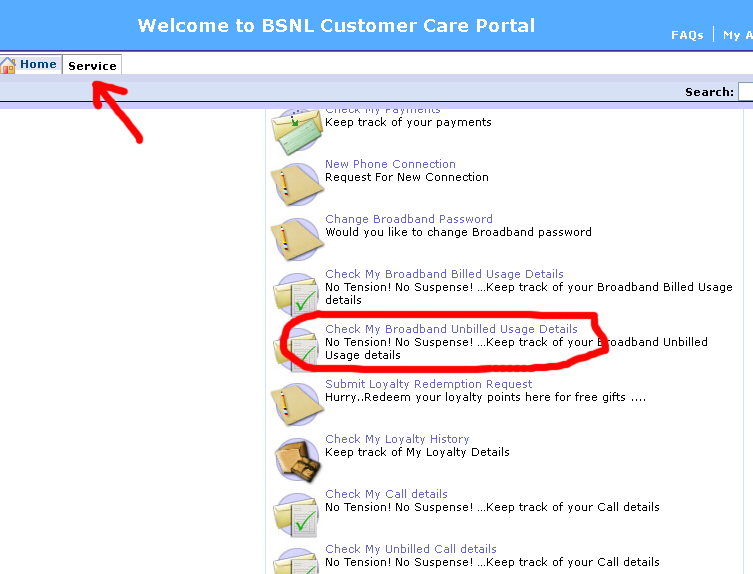 How to Check BSNL Broadband Usage ? After completing the registration process Log in with your user name and password. Now you will get your Broadband Unbilled usage details/Broadband Summary Details.